A new volunteering platform has been launched to allow organisations to register volunteering roles in Tasmania following the bushfires. Volunteering Tasmania (VT) announced the Volunteer Connect initiative today saying that organisations could list specific volunteering roles related to the bushfire relief and clean-up effort. VT state manager Jill Maxwell encouraged Tasmanians to visit the Volunteer Connect website to identify positions which may be suitable to their individual situations. “VT has been overwhelmed with the support from Tasmanians, with over 500 people registering their interest to volunteer in bushfire affected areas to date,” Maxwell said. “Cleaning up and rebuilding after a disaster like a bushfire is a complex and sensitive process which requires a combined and coordinated effort. 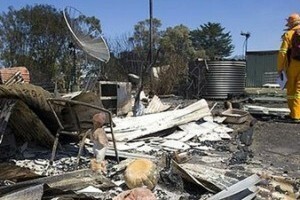 Tasmanian Bushfires Recovery Taskforce Coordinator, Michael Stevens said that the website was a fantastic initiative. “All our advice is that successful recovery and rebuilding has to come from the community and organisations like Volunteering Tasmania are well set up to manage and focus this support just as St Vincent De Paul is best setup to match donations of goods to people who need them and Red Cross has the systems, people and status to manage donations of money,” Stevens said. “It allows the Taskforce to get on with coordinating the Government response to work with local communities on recovery and rebuilding,” he said. Organisations interested in registering should contact Jemima Stagg by email jemimas@volunteeringtas.org.au or phone on 03 6432 4335.